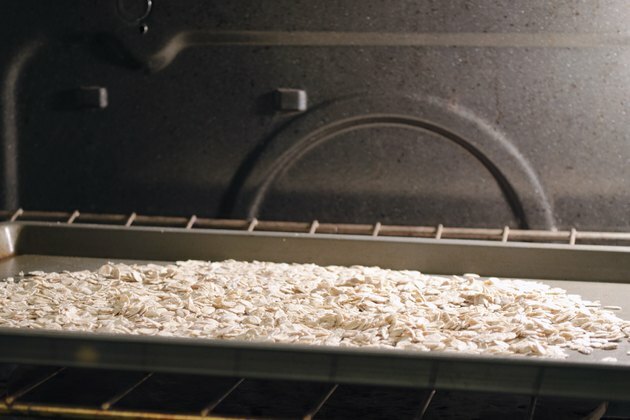 Toasting gives oats a nuttier flavor and decreases the cook time for oat varieties that cook more slowly, such as steel-cut and pinhead. You can use toasted oats in place of regular oats in breakfast cereals as well as recipes such as granolas, cookies and as the topping for crisps. You can also use toasted pinhead oatmeal in place of regular in goetta, a type of sausage popular in southwestern Ohio and northern Kentucky. 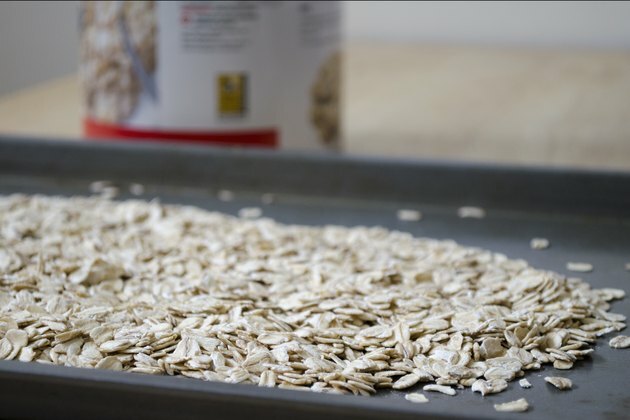 Spread the oats on an ungreased baking sheet. Make a thin layer to ensure that they roast evenly. 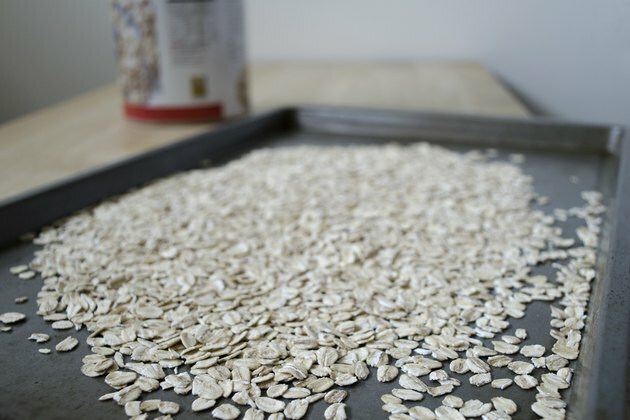 Bake the oats for 10 minutes or until they turn tan and have a strong, nutty aroma. Use the spatula or spoon to stir the oats occasionally, to prevent scorching and ensure even toasting. 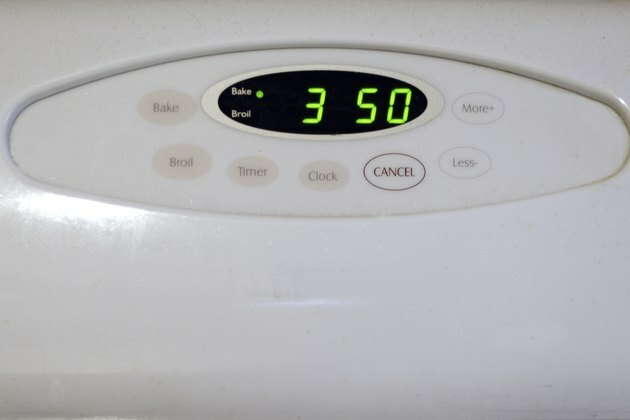 Avoid using oils when toasting your oats. The oats may absorb the oil, which can affect the flavor and texture of whatever you use them in. Oats provide fiber and other nutritional benefits such as helping to reduce cholesterol. Add toasted oats to low-fat granola, salads or eat with skim milk as part of a healthful diet.